So it’s a well-known fact that I stress out. A lot. Take yesterday for example. My brother had to go downtown Toronto for an errand, and instead of making him take the train by himself (he was nervous), I decided to be a nice big sister and drive him there, against my better judgement. Now, if any of you have ever been to downtown Toronto, or probably downtown anywhere, you’ll know that it’s not exactly a fun drive. Sure, there’s lots of big, shiny buildings and famous landmarks, but people who drive downtown are crazy. And then there were my sad attempts at parallel parking. Back when I gave my driving test a few years ago, I laughed at the idea of ever having to parallel park again after the test. But I guess I was wrong! It didn’t help that I was driving my mom’s massive SUV, which didn’t fit in anywhere and my attempts to squeeze it in without hitting the cars in front or behind me, only resulted in my blocking traffic on the road. Preheat oven to 325 degrees F and line your baking dish with parchment paper, leaving extra on the sides. Set aside. In a large bowl, melt the butter, sugar, cocoa and salt in the microwave in 30 second increments. Stir well until the butter is completely melted. Let it cool for a few minutes. After mixture isn't hot, add the vanilla and then the eggs, one at a time. Then add the flour and mix only until it's all incorporated. Fold in the pecans. Pour the batter into the prepared dish and smooth the top down with the back of a spoon. Bake for 25 to 28 minutes, or until a toothpick inserted in the centre comes out with only a few crumbs. Let cool completely before cutting and enjoying. 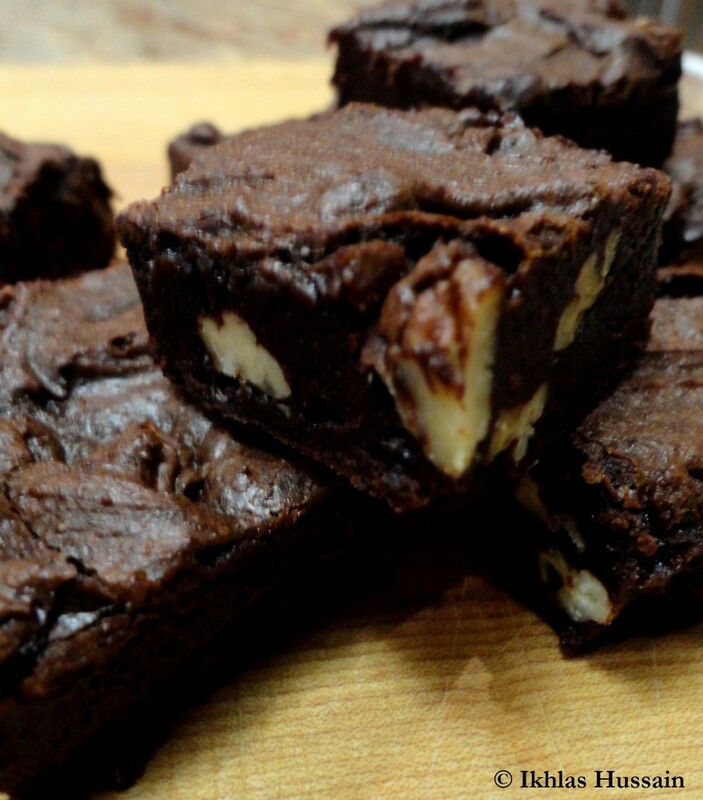 These are honestly the best brownies I’ve ever made! The only problem is that they only make about 18 to 20 squares every single time. This is a big problem if you’re a chocolate loving monster like me! 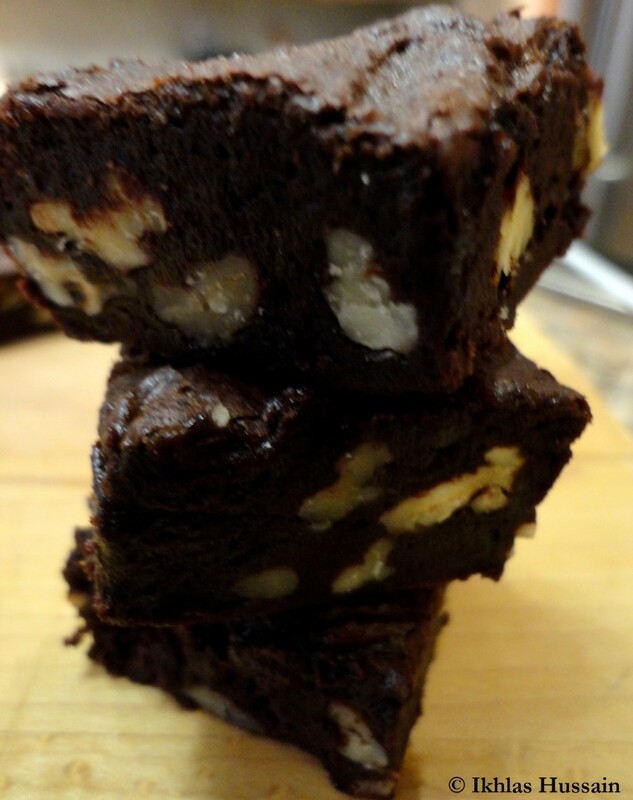 I’ve never used pure cocoa powder in a brownie recipe before, so I was a bit skeptical with this one. I’ve always used melted chocolate, either unsweetened or semi-sweet, and the chocolate flavour is awesome. But these? Chocolate galore! 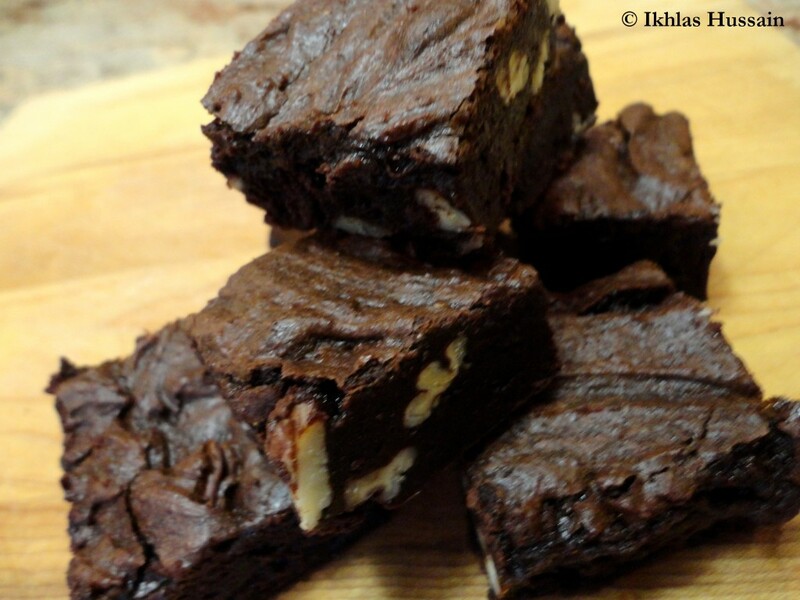 Super moist and chewy, these brownies are extremely fudgy and ooey-goey, and would do exceptionally well with a tall glass of cold milk. Or warmed in the microwave for 15 to 20 seconds and topped with vanilla ice cream. 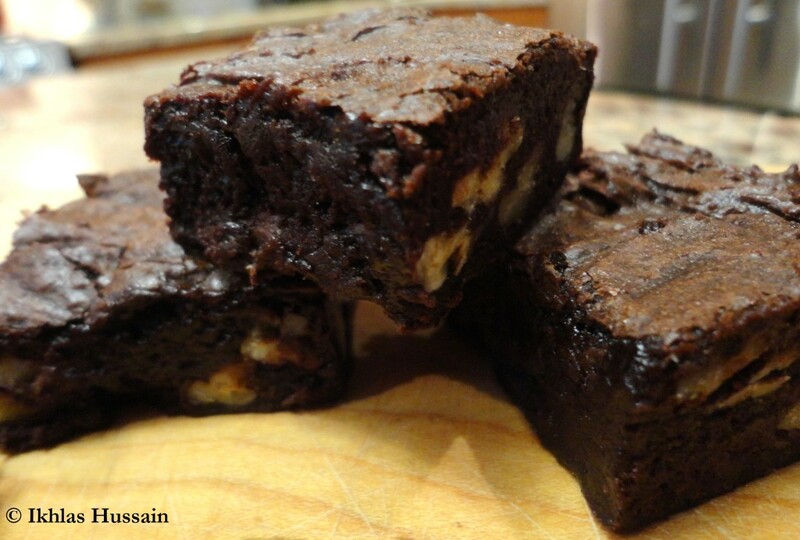 This entry was posted in Bars and Brownies, Recipes and tagged recipes, sweet. OMG these look AMAZING! Now I have a terrible craving for brownies! I know what you mean about downtown Toronto too. I rewarded myself with a cinnamon bun after my trip there this weekend lol!